At the October health scrutiny meeting I note there were no 'matters arising' from the previous health scrutiny meeting held in September. Why aren't councillors raising questions about the STPs and querying why we're still waiting for doctors to re-open Chorley & South Ribble A&E full time? 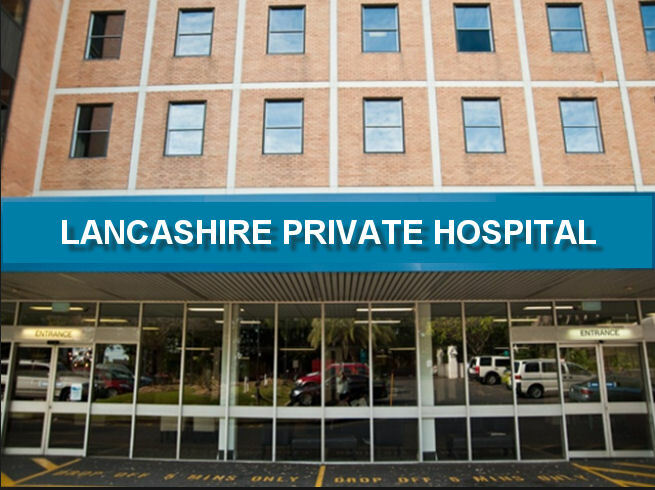 The Lancashire Teaching hospital NHS trust didn't attend Octobers health scrutiny meeting since apparently NHS Improvement had a very important meeting with them. I think we can all guess what that was all about - all queries on a postcard to the LTHT trust since they don't allow the public to speak at their meetings. I wonder what's to hide? Watching the 'webcast' (link below) for October's Health scrutiny meeting I couldn't help but notice the North West Ambulance Service (NWAS) representative mention the 999 call-centre advisors are occasionally obliged to remain on the phone and this was taking up valuable time. The thought occurred the reason for this is because many A&E's/Hospitals are running over-capacity resulting in ambulance crews being unable to get back on the road and attend other incidents? It's not rocket science is it? The figures for last year show a huge increase in serious Ambulance handover breaches (> 60mins) when Chorley A&E closed. Patients had to be taken to the Royal Preston hospital and any hospital nearby. Wigan saw a huge increase in patients arriving by Ambulance of almost 500% when Chorley & South Ribble hospital A&E shut it's doors in April 2016. The ambulance handover times trebled and as the table above shows there was a huge increase in serious ambulance handover breaches resulting in patients lives' being put at risk. To my horror however, the CCG had received instructions from NHS England and NHS Improvement not to penalise hospital trusts as they were going through a period of transition. *NWAS aren't penalised for waiting, the trust are supposed to pay but they've been told there's no recourse for breaching 4 hour and 12 hour targets. disgraceful! And the problems of overcrowding at acute/A&E hospitals resulting in poor quality patient care haven't just 'gone away' either. In fact, they are getting much worse. Royal Blackburn Hospital (RBH) was on code 5 black alert over the weekend and today at RBH every single ambulance bay was full (image above) with some having to park.... on the CAR PARK! Note here that Burnley's A&E was closed/downgraded in 2007 and moved to Blackburn resulting in one hospital in East Lancashire to cater for over 540,000 people. It's been crisis management ever since over at the Hospital in Blackburn, and patients as always pay the price for the politically motivated upheaval. We're still waiting for a small number of mid-grade doctors to come to Chorley A&E and save the day and re-open services 24/7. Yet the longer this fiasco continues, the more suspicion arises that something else is planned for our A&E services. Something so devious that even a hospital trust board avoiding a council health scrutiny meeting pales into insignificance in the overall scheme of things. But we're not going away, we have a duty to ensure we keep what's rightfully ours in a 24 hour A&E service and that it remains in place for our children, and our children's children. Are the NHS reform plans based on New Labour's' 2006 white paper? and what's a Labour peer doing heading up an STP scheme then praising Lancashire teaching hospitals NHS trust? Are all 3 main political parties in favour of a private-public NHS partnership? What the hell is going on? The current boss of NHS England 'Simon Stevens' is a turncoat and entered government with New Labour (he was previously a Labour councillor for Brixton and former advisor to Labour PM TONY BLAIR). Stevens was previously vice president for Unitedhealth, the largest private healthcare insurer in the U.S.A. He will sell his soul for fame and fortune and has U.S Accountable Care Organisations (ACOs') ready for privatisation in England as his goal. The reason he is head of NHS England is because NHS England were set up by the real privateer (the current health secretary) 'Jeremy Hunt' with no input from the NHS or those who use it. It appears Stevens has simply expanded on New Labours 'Our Health Our Care Our Say' white paper from 2006 and added American style ACOs into the integrated part of the Sustainability & Transformation Partnership (STP). *Labour's 2006 white paper is said to be the blue print for the 'five year forward view' which in turn is the blueprint document for all STPs. So not only has Stevens expanded on Labour's 2006 white paper, but he's handed it over to the Tories and it appears to be supported by Labour Peer Lord Pat Carter. 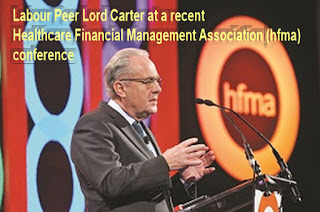 The Labour Peer Lord Carter, like Tony Blair, seems to be just another Tory in disguise. 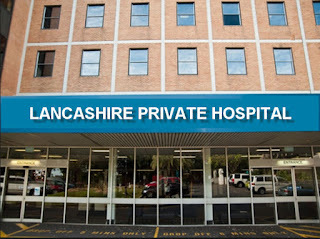 Carter (real name Patrick Robert Carter) is heading up the Slash Trash & Privatise care home scheme, he visited Lancashire county council in late July along with the Lancashire Teaching hospital trust who closed the A&E department 24/7 at Chorley & South Ribble Hospital in April 2016. So what's a Labour peer doing promoting the STP privatisation plans? Previously many Labour politicians have made full use of the 'revolving door' between industry and government. Alan Milburn and Patricia Hewitt are among the ten previous health ministers who have taken lucrative consultancies with private health care companies. Is this the blueprint for the STPs five year forward view? Are STPs based on New Labour's white paper from 2006? In early 2015 Lancashire Teaching Hospitals NHS trust were granted planning permission to build a multi-storey carpark at Royal Preston Hospital. But shortly after came the general election along with news that the NHS was to undergo yet another top-down reorganisation based on privatisation plans known as a 'five year forward view' [5YFV]. The chief executive of NHS England appointed to roll-out these plans was no other than 'Simon Stevens', ex vice president of UnitedHealth, the largest private healthcare provider in the united states. This drew suspicion from NHS campaigners: that NHS privatisation in England was on the cards and the 5YFV was a template for the introduction of American-style healthcare. The suspicion was made worse when it was discovered the man who appointed Stevens in post was no other than the health secretary 'Jeremy Hunt', an MP renown for his political parties position on wishing to privatise the long-serving publicly provided NHS. Under these regional plans, called Sustainability & Transformation Plans or 'STPs', health providers in Lancashire were to merge with those in South Cumbria to share resources and aid roll-out of the transformation from a 'National' healthcare system to a localised U.S. based healthcare system now known as an 'Accountable Care Organisation' (ACO) sometimes referred to as an Accountable Care System (ACS). *The Tories Health & social care act (H&SCA) that came into effect in 2013 handed National responsibility for healthcare provision down to localised private GP-led groups called 'clinical commissioning groups or CCGs for short. The 'National' element had been removed from the NHS leaving NHS services wide-open to commercial ventures, including take-over of the more lucrative hospital services, that under STP plans, were to be relocated from hospitals into private-public partnership community clinics operated by the ACO. One idea in the STPs was to close many hospital services and move them into what the plans call 'multi-specialty community provider clinics, or MCP clinics for short. 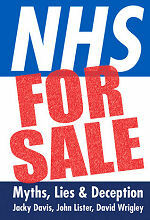 The H&SCA allowed 'Any Qualified Provider' (AQP) to bid on, and win NHS contracts. CCGs soon set to work tendering out NHS contracts and over in Chorley hospital (and Preston hospital) urgent care centre services were handed over to a private provider for an apparently meager sum, leaving one Preston doctor to question if the services could be provided on such a small budget (the advice was £44m for a 5 year contract but the contract went for £30m allegedly). The latest proposal from the STP Solutions Design Team are to close 80% of outpatients services at Chorley & Preston hospitals and move them into the community under the 'care closer to home' scheme. With less and less money going into the NHS it was soon realised other NHS services were becoming unstable, none more so than A&E and other acute services. Lancashire Teaching Hospitals NHS Trust (LTHT) who run hospitals in Chorley and Preston were told to drop the multi-storey car park plans for Preston Hospital since it was anticipated the transformation of the NHS would result in many fewer hospital attendances. The five year forward view had divided England into 44 'footprint' areas with each allocated a 'sustainability & transformation plan [STP] of its own'. The STP plans were bad news for the NHS, but good news for the private healthcare sector who in 2013 had been given statutory rights to bid on ANY NHS service contract (under the Tories 2012 Health & social care act). Having shelved the multi-storey car park plan, the Lancashire hospital trust reported: "Since then we have been working on a new plan to improve how we provide and organise our hospital services so that we can ..remain viable for the future. Major building work, including the multi-storey, has been put on hold whilst the transformation programme [STP] is progressing to make sure we don’t make any significant investments before our future plan is finalised". Yet things appeared to be going wrong for those rolling out the STPs. The local plans for Chorley & South Ribble were questioned by the borough council resulting in a unanimous vote that Chorley council write to the health secretary and that the STP be ceased and remodelled so that it "seeks to protect health and social care services, ensure they retain their local identity and strengthen local democratic accountability". I don't recall any reply from Jeremy Hunt to the council's tabled motion on the issue but that's not surprising given Hunt's track record of ignorance. So where are we up to at present with the STPs? Since their inception via the 5YFV, without any indication to the public, STPs have mutated into 'Sustainability & Transformation Partnerships' instructed to form Accountable Care Organisations (ACOs). These ACOs attempt to prevent ill-health by 'demand managing' (rationing) medications and treatment. They use a 'capitated payment' system and are financially driven to ensure an end of year surplus is passed backed to shareholders in the ACO. The ACO are a spin-off of the failed Obamacare and introduce a two-tier healthcare system into England. They will see the demise of the NHS if implemented nation wide. The first ACO for Lancashire & South Cumbria is being trialled over in the Fylde, and if all goes well, they are proposed to be rolled out in Chorley, South Ribble, Preston and beyond. So there we have it, we need not worry about car parking at hospitals soon, because there won't be hospitals left (with the exception of a trauma/A&E centre in the middle of beyond). We won't need to worry about hospital car parking, since we'll all have a private clinic on the street corner run by Circle, Virgin, or Care UK Ltd. The NHS will be a thing of the past and we'll all be making co-payments under the local ACO insurers for surgery or that medicine that is no longer on prescription. Or we can stand up and say NO! We are no longer under any doubt as to the intentions of the STPs and the two-tier privatised system they represent. We can no longer sit on the fence claiming we are in the dark about these sordid plans. As campaigners to retain publicly provided health services we inform others and gain their support.